We are delighted that you are considering Westminster School, one of the best small boarding schools in the country. When looking at New England schools, you have a range of options, but we believe that nothing comes close to the opportunities that exist at Westminster School. All students, day and boarding, become members of a diverse and talented group of hard-working, fun-loving students who are serious about their education, who have accomplished much already and who hold the promise of achieving so much more. Westminster is very selective. We seek young men and women who are motivated to become not just the best students they can be, but also the best people that they can be, students who will take advantage of all that Westminster has to offer, in the classroom and beyond. 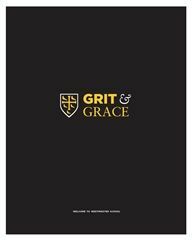 We believe the unique and powerful combination of Grit and Grace makes Westminster students successful, here and later in life. It is why so many of our graduates are elected captains of college teams or presidents of collegiate organizations, why they become leaders in their professions and communities, and why they are respected and liked, wherever they go and whatever they do. Westminster is a caring, close-knit community where everyone is known and supported, and everyone can excel. We are a small school, but only in the size of our student body. The number and array of programs, activities and teams is exceptional, and we firmly believe our size provides distinct and important advantages for our students as learners and leaders. In athletics, with 53 teams in 14 sports, every student can be on a team in every season. And in extra-curricular clubs and activities. Our Financial Aid budget is $5.860 million, and support is provided to nearly one third of our students. We are committed to making the Westminster experience available and attainable to all applicants. As you go through the process of selecting your next school (or the high school for your son or daughter), I encourage you to seriously consider the opportunities at Westminster. Take a closer look – explore our website and visit our campus. I’m sure you’ll be impressed by what you find and the people you will meet.